EUROPA LEAGUE THURSDAY: We preview Thursday’s Europa League quarter final games between ARSENAL V NAPOLI and SLAVIA PRAGUE V CHELSEA with recommended BETDAQ bets. 8pm We may have seen some glamourous ties in the Champions League this week, however this is a huge European clash and it’s set to be a cracking Quarter Final tie. It’s fair to say that if Arsenal have any chance of getting through this tie, they simply have to win tonight. They have gone back to their terrible habits away from home in recent weeks and as we seen at the weekend; it’s just impossible to have any faith in them away from home. The good news for Arsenal fans is Napoli have won just three of their last ten away games in all competitions, so it’s a case of who is worse away from home! The match odds at the time of writing currently trade; Arsenal 2.46, Napoli 3.15 and the draw is 3.5. Napoli are odds on favourites in the ‘To Qualify’ market with Arsenal trading at 2.46 and Napoli 1.67. We must admit that Arsenal look massive here at 2.46; OK they have been poor away from home – but in front of their own fans they have been excellent this season. They have won 13 of their last 15 at home in all competitions and they have to be backed at these odds. Napoli’s away record leaves a lot to be desired and Arsenal will get a much needed, if they are to indeed qualify, win tonight. Arsenal to beat Napoli at 2.46. 8pm Not many English football fans will know too much about Slavia Prague but this isn’t a walkover for Chelsea by any means. They are unbeaten at home in the Europa League this season and they knocked out Sevilla – who have an excellent record in this competition – in the last round. 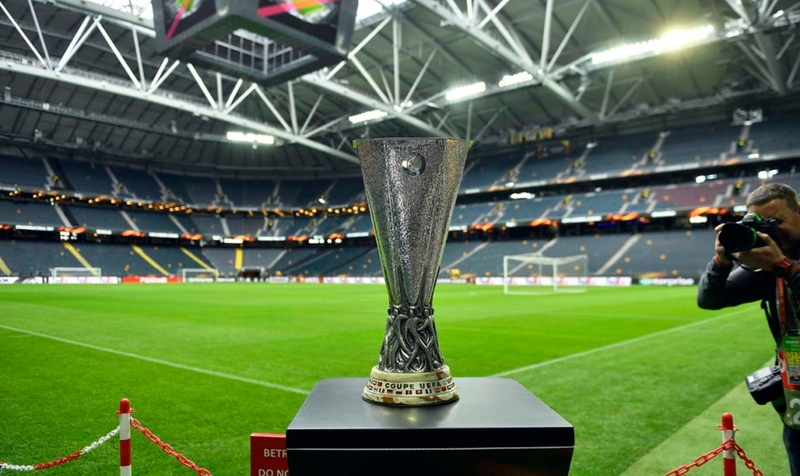 Chelsea have been very solid in the Europa League this season, getting the job done with the minimum of fuss, however it would be fair to say that this is their biggest test to date in Europe this season. The match odds at the time of writing currently trade; Slavia Prague 5.9, Chelsea 1.74 and the draw is 3.85. It will be very interesting to see what XI Sarri names tonight, Chelsea have a massive game at the weekend away to Liverpool in their bid to finish in the Top Four. They are playing some decent football at the moment, but Sarri may opt to rest some of his star players here as he has done in the Europa League thus far this season. Although Salvia Prague have been decent in Europe this season, we expect Chelsea to have too much class for them and after seeing their 5-0 win away from home against Dynamo Kiev, we’re happy to take the 1.74 on them tonight. They have been a level above everyone in the Europa League this season. Chelsea to beat Salvia Prague at 1.74.